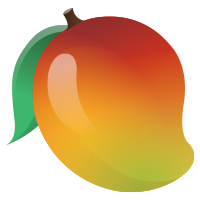 You earn 10 Mango Points each day that you take all of your scheduled medications and supplements on-time. To earn points, you’ll need to mark medication reminders as ‘taken’. You have up to 30 minutes before or 4 hours after the scheduled time to respond to reminders. It is an all-or-nothing system so if you miss any one reminder you don't get any points for the day. You can also earn up to 15 points each day you stick to your habit schedule (5 points per habit, for up to 3 habits). For target habits, such as Move More and Hydrate, points may be earned when your target goal is reached. For non-target habits, which include, Watch Weight, Track Blood Pressure, Check Blood Glucose, Record Mood, and Eat Better, points may be earned when each habit reminder is responded to on-time. An additional 5 points may be earned for any Caregiver check-ins that are completed. For example, if you have 2 scheduled care recipient check-ins and you record each check-in within the app, you will earn 5 points. This is similar to earning points for scheduling medications in that it’s an all-or-nothing system. You’ll need to check-in with all scheduled care recipients in order to receive the full 5 points. In total, you can earn a maximum of 30 Mango Points per day.